A study by the National Safety Council’s Campbell Institute identified best practices for contractor and supplier safety. The study looked at the practices of 14 Campbell Institute member or partner organizations with exemplary safety records (injury rates 6.5 times lower than industry averages, and lost workday rates 6 times lower than industry averages) with respect to contractor/supplier safety. Keep reading to find out how these employers manage supplier and contractor safety; these strategies can help you to expand your safety culture to your contractors and suppliers. Most of the study participants used a 3-year benchmark, and many requested additional information from prospective contractors/suppliers, such as environmental reports, and information about written safety programs, permits, and licenses, and continuous improvement programs. Based on the prequalification findings, the study participants determine whether a potential contractor/supplier has a “passing grade”—a safety record and safety culture that makes them eligible to work with the employer. Prospective contractors/suppliers with failing grades are not offered contracts. Prejob task and risk assessment. Before a contracted job begins, the participants in the Campbell Institute study perform a risk assessment and assign a “risk category” to the work being performed. These evaluations include not just an assessment of the work being performed but also of the contractor’s proposed work procedure and safety programs. Higher-risk jobs may invoke additional requirements for in-depth risk assessment, the preparation of additional written programs, or other safety-related requirements. 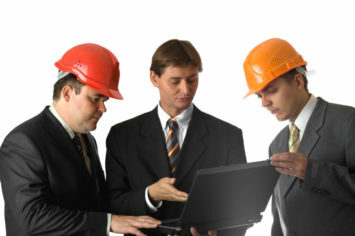 In addition, the companies in the study typically require subcontractors to adhere to the same safety standards as general contractors—in other words, if the employer hires a general contractor to complete a specific job, and that contractor hires subcontractors, the general contractor is held responsible by the employer for enforcing on its subcontractors the same safety standards that it was required to meet in order to land the contract in the first place. Training and orientation. All of the survey participants are sticklers for contractor training, requiring on-site safety orientation for all contract workers, as well as skills training relevant to their job task assignments. Contractors are required to complete training programs as needed in confined space entry, electrical, hot work, hazardous energy control, forklifts, elevated work, and any other site-specific hazard training. Some of the study participants provided even more specialized training for contractors in areas like Hazardous Waste Operations and Emergency Response (HAZWOPER) and personal protective equipment (PPE). Job monitoring. It’s essential to keep track of the job while it’s ongoing. Every survey participant had a regular monitoring program in place for contractors. Depending on the risk profile of the job and the contractor, monitoring might include daily checklists, preshift safety talks, weekly walk-through inspections, or monthly and yearly assessments. Survey participants also routinely reviewed contractors’ incident logs, and had a procedure for contractors to submit safety observations and report unsafe conditions. More than half of the survey participants had specific procedures in place to deal with contractor infractions of employer safety rules. Postjob evaluation. For the survey participants, this was the least-utilized tool— but many of the participants who did not have a postjob evaluation procedure in place state that this was an area they felt needed improvement. Of the survey participants who did have postjob evaluation procedures in place, they tended to look at safety, customer service, and the quality of the finished work and to use those factors in determining the contractor’s eligibility for future contracts.